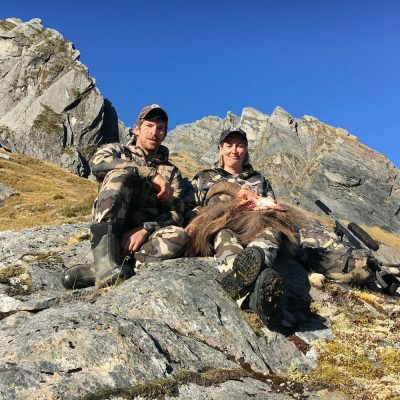 Lake Hawea Hunting Safaris is a family business specializing in guiding international hunters in the mountainous regions of Otago and South Westland. We are very proud of our high repeat hunter rate, with over 50% of our clientele made up of repeat hunters each season. Single species hunts are available and combination hunts are what we do best, we have a wide range of species to hunt and so much country to explore. Our wilderness concession allows us to hunt most of the South Island and we have access to six private land properties totaling over 250,000 acres of free range private land hunting. We have a variety of hunting options available from extreme tent based wilderness hunts to Lodge based private estate hunts. Choose from one of our hunting packages or let us build a New Zealand Hunting package that is right for you. 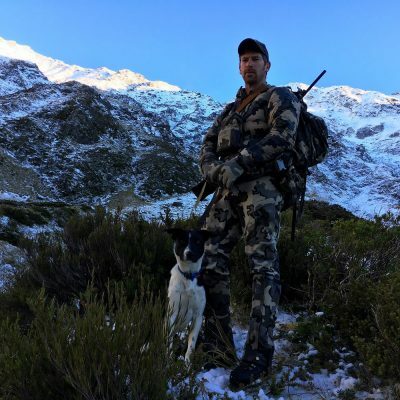 Chris is an executive member of the New Zealand Professional Hunting Guides Assn and has been hunting in the New Zealand mountains for over 20 years. For five years he held the portfolio of membership officer with the NZPHGA and is now currently the editor of the NZPHGA internal magazine ‘The Scope.’ Chris and Bronwyn have owned and operated Lake Hawea Hunting Safaris since December 2006. Along with guiding and outfitting in New Zealand Chris also has international guiding experience having guided professionally in Australia and Canada. More info about Chris McCarthy here. The McCarthy’s have been in the Lake Hawea region since the Otago gold rush of the 1860’s, they settled at Hawea Flat and began construction on a stone homestead on their sheep and cattle farm in 1892 which is still standing proud today. Five generations later we still have the family farm and the old stone homestead. All our hunts are run ex Queenstown airport on New Zealand’s South Island. Lake Hawea Hunting Safaris is situated 1 hr 15 mins drive from Queenstown airport. Direct flights into Queenstown from Australia’s main centres are possible, especially in NZ’s ski season, (late June to September). There are direct flights from Los Angles, San Francisco and Vancouver into Auckland (North Island); you will then need a short connecting flight to Queenstown. Christchurch is the biggest city on the South Island, you may also wish to check flights into Christchurch and connect to Queenstown from there. In 2011, 119 years after the original stone homestead was built, Bronwyn and myself were very excited to begin work on a new house on the property. The house was to provide two functions, the first being a home, the second being a hunting lodge for Lake Hawea Hunting Safaris. Nestled beneath the towering bluff systems and peak of Mt Grand we have our own little piece of paradise. When our hunting season begins in February, everyone pitches in to make sure our hunters have the best possible New Zealand hunting experience. While myself and our guides are out there giving it our all for our clients things are just as busy back at Lake Hawea Hunting Safaris base. Bronwyn owns her own business, Mighty Efficient Wanaka she is also busy cooking meals, re-stocking supplies, picking up and dropping off hunters from Queenstown airport and making sure 4 kids get to school and day care on time. Bronwyn is certainly working just as hard as the guides in the hills! Yeverley (Chris’s mother) also helps out, cooking up wild venison, rabbit, tahr, chamois or lamb and hogget from the farm, making it into portions for me and my guides to take into the hills as well as meals for the lodge. Yeverley is also great at catering for non hunters, having a successful career in real estate (now retired) means Yeverley knows the Wanaka and Hawea area better than anyone. Yeverley is great fun and a brilliant cook. Its the little things that make the difference, liked being camped in the middle of the Southern Alps and pulling out Yeverley’s delicious home made plum sauce, or garlic breakfast sauce from the tucker box, or the early morning satellite phone call from Bronwyn back at Lake Hawea Hunting Safaris base, with the latest web weather forecast, so 100kms away back in the mountains we can plan our day. Lake Hawea Hunting Safaris….Quality trophies, quality experiences.